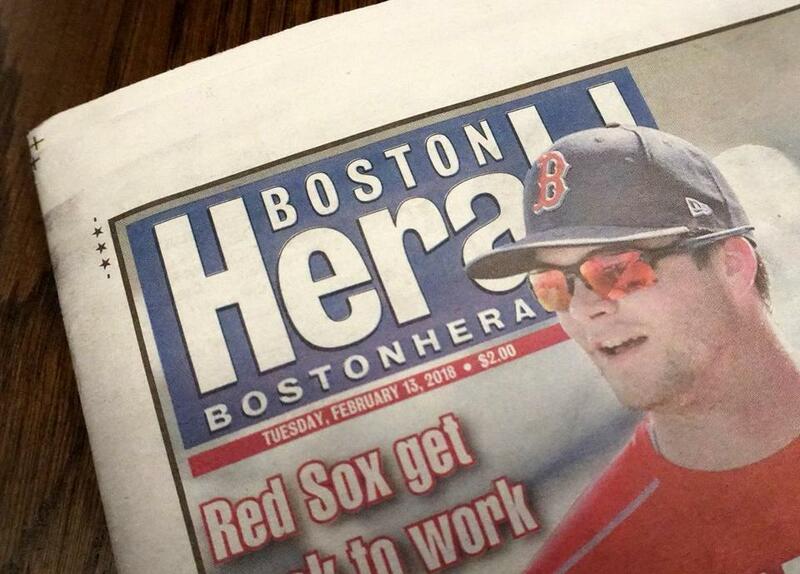 The front page of The Boston Herald on Feb. 13. The winning bid is significantly higher than the initial offers by two other bidders, GateHouse Media and Revolution Capital Group. More details about the offer were not disclosed Tuesday night. The sale still needs to be approved by a bankruptcy court judge, who is expected to review the deal Friday. The proceeds will be divided among the creditors through the bankruptcy process. Digital First owns the Denver Post, the Orange County Register, the Mercury News of San Jose, and numerous other papers in Colorado, California, and several other states. The company owns two dailies in Massachusetts, the Lowell Sun and Sentinel & Enterprise of Fitchburg, and previously owned the Berkshire Eagle in Pittsfield. Despite Digital First’s reputation, unionized employees and their representatives expressed relief on Tuesday night. NewsGuild-Communications Workers of America president Bernie Lunzer said the union will work with the new owner to keep the newspaper vibrant. The Boston Herald offices in the Seaport District. After years of trimming costs to keep pace with declines in print advertising, Purcell put the Herald up for sale last September and eventually reached an agreement with GateHouse, which owns a number of papers in the region. At the time, the Herald listed debts and liabilities of roughly $31 million, with the Globe, which prints the Herald, among its largest creditors. GateHouse’s offer of $4.5 million in cash and up to $500,000 for employees’ paid time off, however, was contingent on the Herald wiping out most of its liabilities in bankruptcy court. Since then, Revolution Capital Group submitted an initial bid that was similar to GateHouse’s, and Digital First Media entered the bidding last week. It’s unclear if GateHouse or Revolution Capital sought to increase their offers during the auction Tuesday. In a statement, Purcell said he had promised to “do everything humanly possible to avoid shuttering the unique and fearless voice of the Boston Herald,” and emphasized the auction process resulted in a final bid that was more than double the initial offer that GateHouse made. Job cuts were expected, regardless of the sale’s outcome. 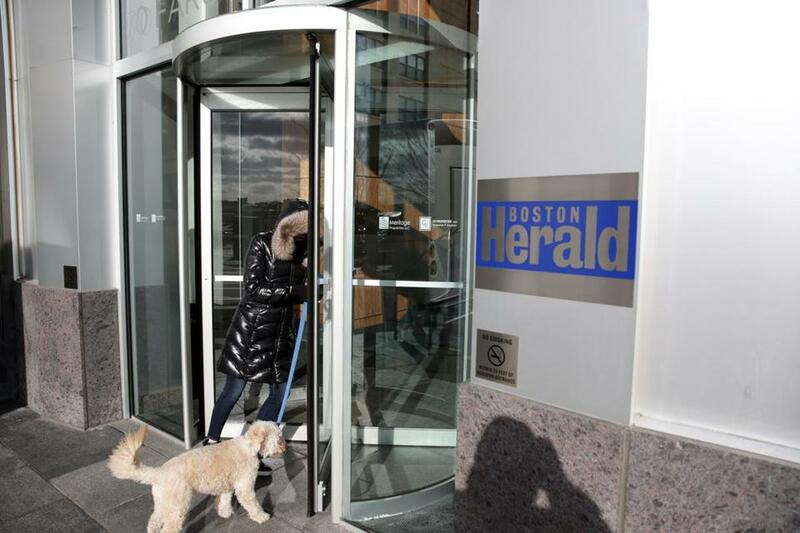 The Herald employed about 240 people as of December, but both GateHouse and Revolution Capital said in their bids they could whittle that down to as few as 175 positions post-bankruptcy. Digital First told union representatives they expected to employ at least a similar number of workers. “Even a property that’s in pretty bad shape is attractive to somebody, and especially attractive to people who have a big chain and can do a number of things in a centralized way and are practiced in reducing expenses,” said Rick Edmonds, a media business analyst at the Poynter Institute, a journalism-focused nonprofit in Florida. Alden Global exerts tight control on business decisions at Digital First, he said, but largely gives newsrooms autonomy. That said, he expects Alden Global to continue to position the Herald as a conservative alternative to the Globe, primarily as a market strategy. In recent weeks, Digital First moved to slash jobs at its California papers. Doctor noted that the company hasn’t replaced its chief executive officer who left last year, and he doesn’t expect Digital First to hire a new one anytime soon. “That shows you how much this company will cut, that they’ll even cut a CEO position to save money,” Doctor said. Two weeks ago, the Herald reached an agreement with unions that collectively represented more than 100 workers to vacate their labor contracts, and the bankruptcy court judge approved that agreement on Feb. 1. As part of the deal, the Herald agreed to a requirement that bidders would recognize accrued paid time off and seniority status, and promise to make offers to no fewer than 175 employees. The Herald had expected to lose nearly $3 million, prior to the bankruptcy, on nearly $34 million in revenue in its current fiscal year, according to court filings.